Added by Debra Tash on April 10, 2019. 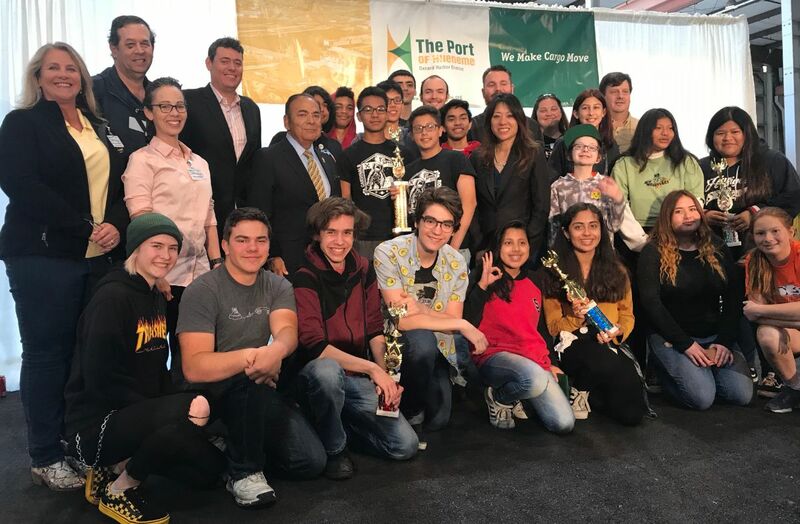 Over 300 STEM students channeled through the buzzing innovation hub at the Port’s 6th Annual Maritime Advanced Systems & Technology Expo (MAST). The Expo introduced our inquisitive and pioneering young minds to the exciting world of technology and innovation. MAST, where technology meets the end user and, where the consumer meets the innovators, serves as a 365-day platform to incubate new technological solutions. Every spring, the Port hosts an Expo to celebrate achievements and launch new strategies. 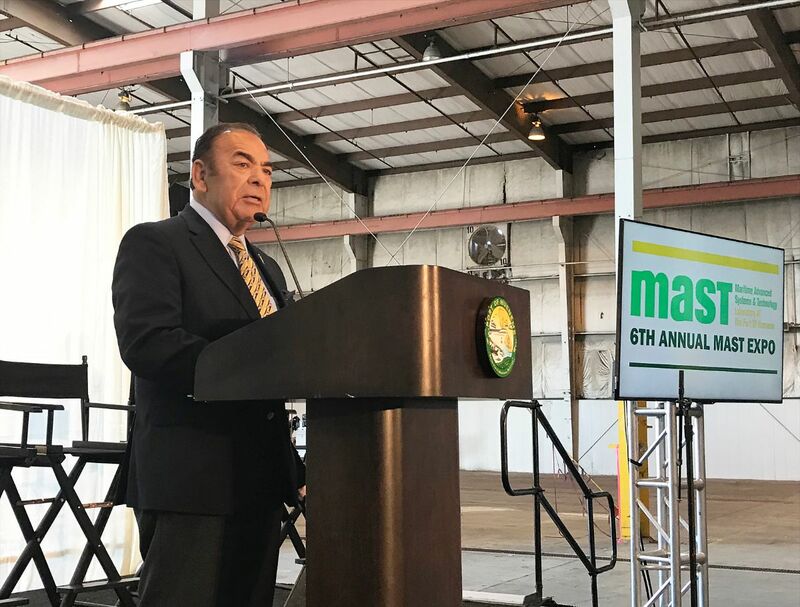 With over 400 participants consisting of local businesses, entrepreneurs, port customers, students, and community leaders, this year’s Expo served as the venue to launch the next iteration of MAST. 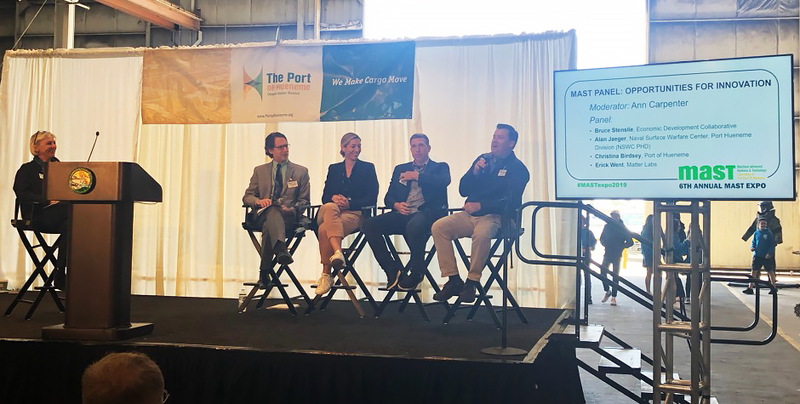 The Port, Navy, Economic Development Collaborative and the well renowned Went brothers of the local start-up, Matter Labs, announced their new technology driven collaborative. Setting up shop on Port, the collaborative both institutionally and structurally builds the foundation to bolster public access to piloting, developing, and commercializing new technologies in data analytics, robotic systems, alternative environmental technology, cyber security, and much more. 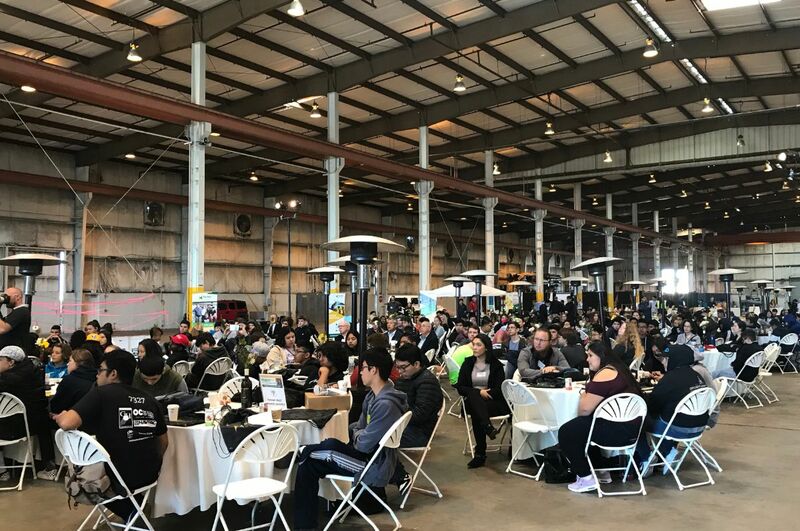 One compelling reason the Port makes the map as one of Ventura County’s epicenters for innovation resides in its designation as an Opportunity Zone. This new federal program taps into the entrepreneurial spirt by attracting venture capital through tax incentives. Fiona Ma, the State Treasurer, oversees this program for California and inspired the audience with her keynote address on innovation, Opportunities Zones, and the possibilities that lie ahead. Ma explained, “This Port is in one of the 879 Opportunity Zones. This is a great program that our State will use to hopefully attract private investors to many of the projects that our State wants to finance, and many of them will likely come out of this program right here.” Treasurer Ma also emphasized the need to invest in our ports, a strategy she articulated will help California to continue to lead the nation in developing technologies that protect our environment, increase our competitiveness, and create jobs. The day was flooded with exciting opportunities for students through contests and hands-on testing of the actual technologies. 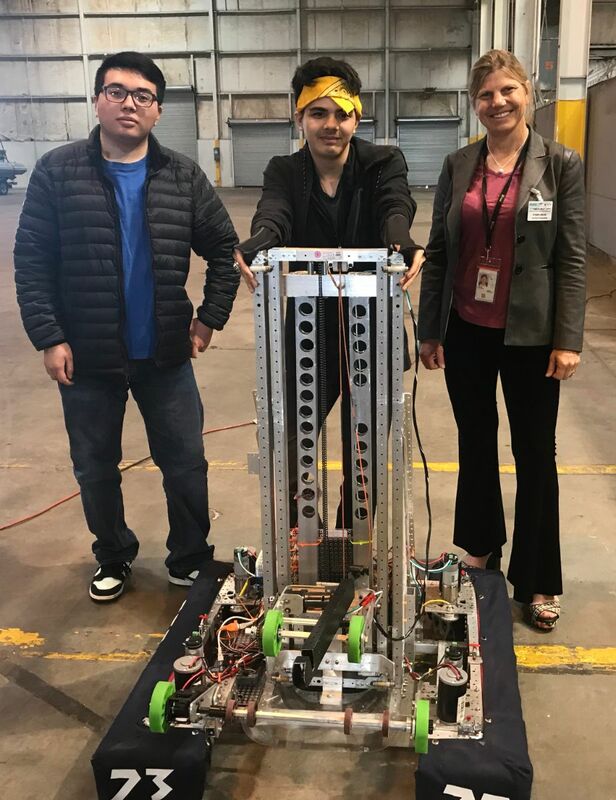 Local high schools from across Ventura County took part in the technology wave including: Channel Islands High School, Santa Paula High School, Oxnard High School, Port Hueneme High School, Santa Susana High School, Colina Middle School, and Pleasant Valley Christian School. Several students also participated in a semester long program spearheaded by VC Innovates to build SeaGlide robots in their classrooms. 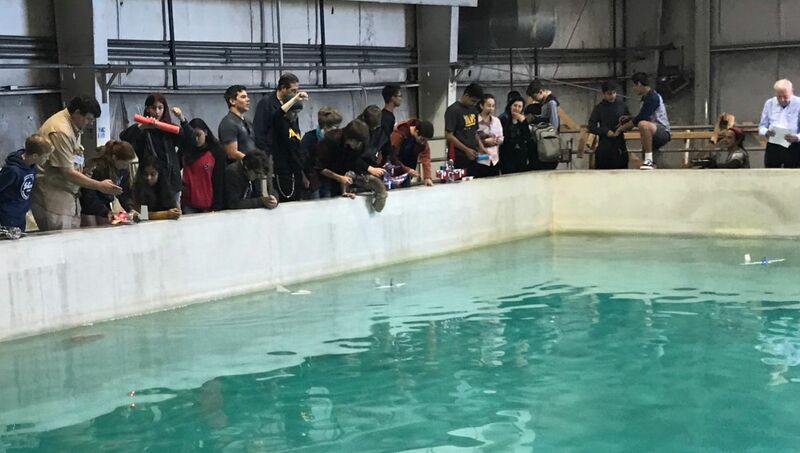 Ten teams of students entered their robots into a tough competition, maneuvering their inventions through the Port’s underwater dive tank. The event culminated with an awards ceremony where Santa Paula High School took home the top prize. 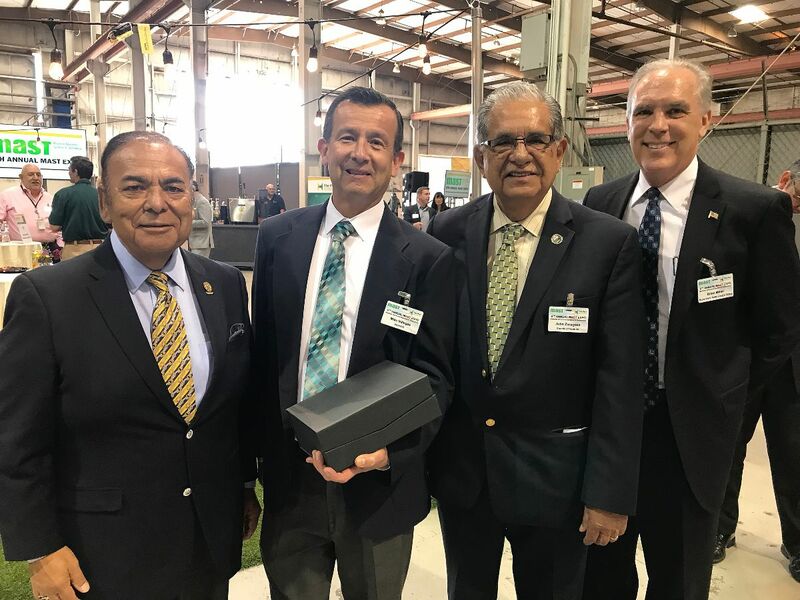 Two incredible community leaders were honored with awards at the closing of the Expo, Mike Villegas of the Ventura County Air Pollution Control District (VCAPCD) and Cónsul Roberto Rodríguez Hernández of the Consulate of Mexico in Oxnard. 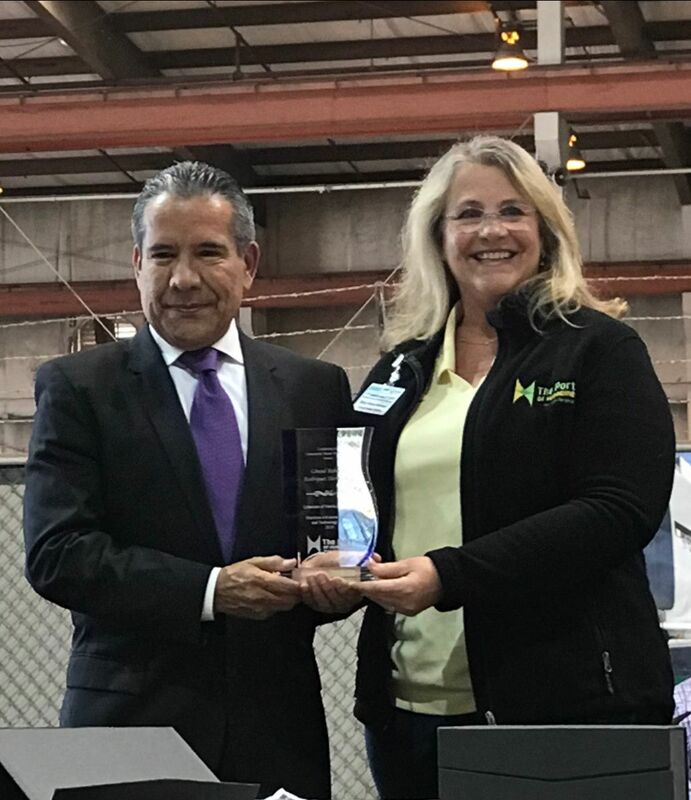 Mr. Villegas received the Lifetime Achievement Award for Environmental Innovation for his 30+ years of public service and implementing new technologies throughout the County to improve air quality. Notably, his most recent endeavors include the joint clean air plan with the Port titled, PHRESH (Port of Hueneme Reducing Emissions and Supporting Health), which will include air quality monitoring meters for real time data collection. Consul Hernández was presented with the “Leadership in Community Based Technology Award” for the Consulate’s efforts to implement new technology that will enable their office to improve access through a first-of-its-kind 211 information kiosk that will provide language specific-information on social and health services for Mexican nationals. Elected officials in attendance included: State Treasurer Fiona Ma, Supervisor John Zaragoza, Oxnard Harbor District President Jess Herrera, Oxnard Harbor District Commissioners Mary Anne Rooney and Jason Hodge; Port Hueneme Mayor Will Berg, Oxnard Mayor Pro Tem Carmen Ramirez, Supervisor Kelly Long’s Chief of Staff Brian Miller; and Karie Portillio Guerra and Jeannette Sanchez-Palacios representing Asm. Jacqui Irwin. The Port of Hueneme is one of the most productive and efficient commercial trade gateways for niche cargo on the West Coast. The Port is governed by five locally elected Port Commissioners. The Port moves $9 billion in goods each year and consistently ranks among the top ten U.S. ports for automobiles and fresh produce. Port operations support the community by bringing $1.5 billion in economic activity and creating 13,633 trade-related jobs. 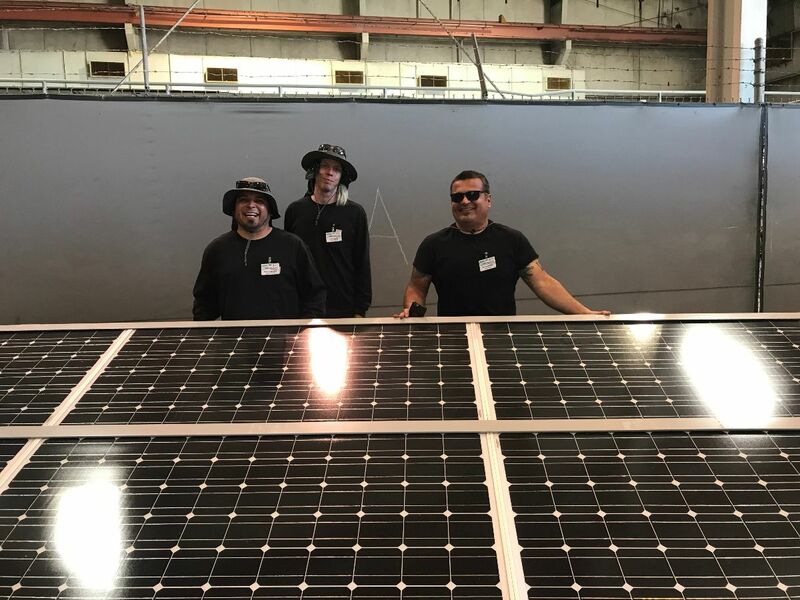 Trade through the Port of Hueneme generates more than $93 million in direct and related state and local taxes, which fund vital community services. 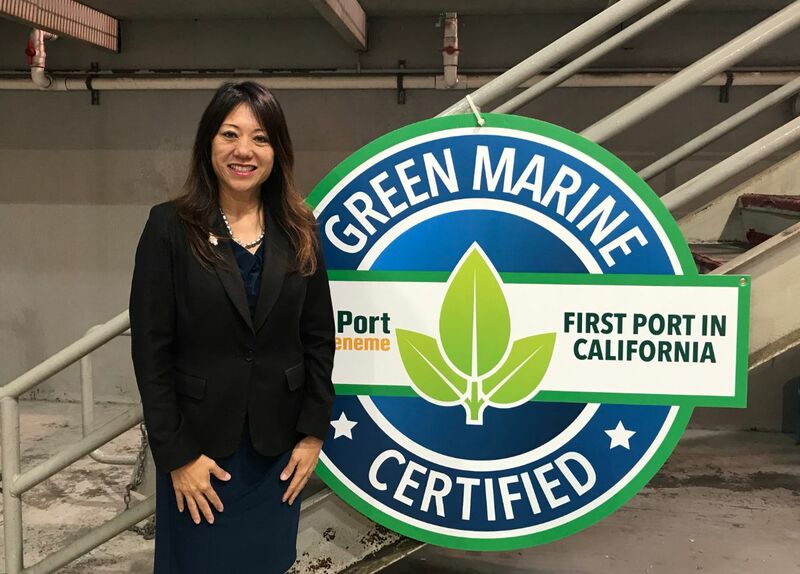 In 2017, the Port of Hueneme became the first port in California to become Green Marine certified. www.portofh.org.